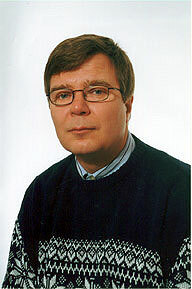 Martti Karimies, born in 1954, works as Sales Director at LO Rakenne Oy. Martti has been DXing since 1969. He lives with a multi-cultural family in Hämeenlinna, some 100 kilometers north of Helsinki. Martti currently DXes mostly in Aihkiniemi, using Perseus, SDR-IQ and Telefunken E1800/3 professional class receivers. His first DXpedition to Lapland was already in 1986, after which he has mostly done DXpeditions to Lake Livo, located in East-Central Finland, for Asian AM stations, and in Aihkiniemi since 2010. Martti's best catches are several Japanese, Philippine and Thai stations heard in Europe for the first time, as well as KGUM 567 and KCNM 1080, also heard in Finland for the first time by him. Martti has three children. You can e-mail Martti at martti.karimies(at)lorakenne.fi.